MP for Bolton 1922-1923 (Conservative). Solicitor - he worked first as a clerk for Edge & Dawson Solicitors, qualifying as a solicitor in 1887, before opening Russell and Russell Solicitors in Wood Street, Bolton with his brother Walter. Represented Church Ward 1899-1902 and 1919-20. He was Chairman of the Education Committee 1925-35. Alderman. 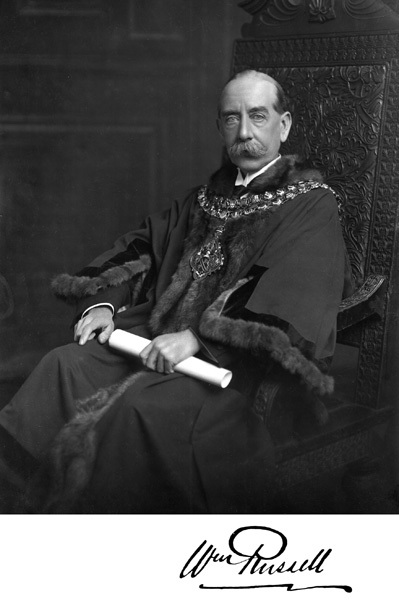 He was appointed Magistrate in 1923. He was Chairman of Bolton Incorporated Law Society. He was a pigeon racing enthusiast and was a member of the Lancashire Homing Federation and President of the Lancashire Nantes Club. Anglican - he worshipped at St John's Church, Little Bolton and Bradshaw Church. 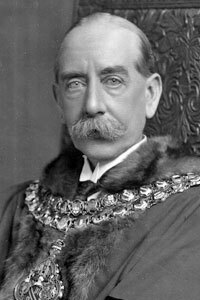 Formal portrait of William Russell as Mayor of Bolton. William Russell's link on the Mayor of Bolton's Chain of Office. 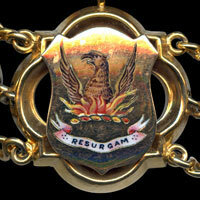 Crest-On a wreath or and gules a phoenix emerging from flames gules. 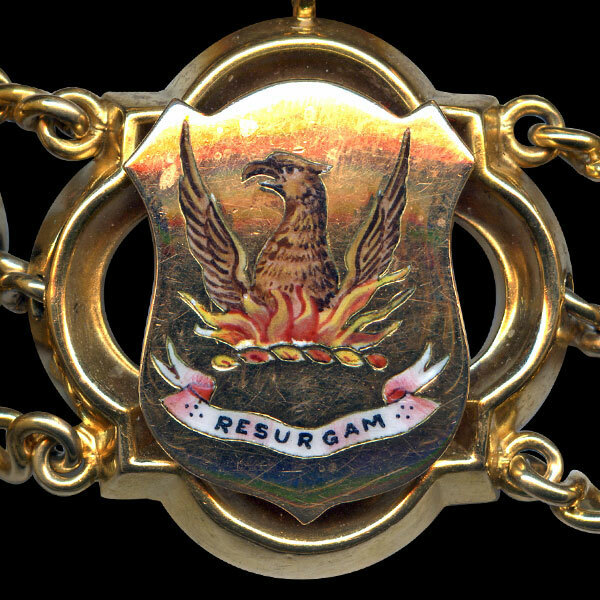 Well known crest of the Irish branch of the Russells but no connection known.